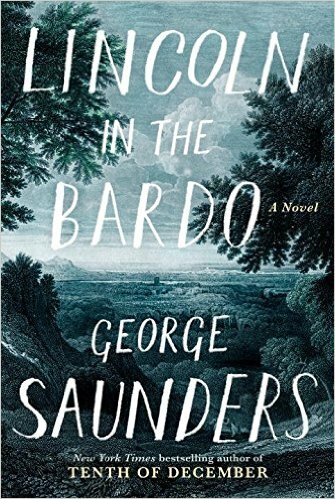 The first novel from celebrated short story writer George Saunders. An historical Buddhist ghost story set in a Georgetown cemetery where a grieving Abraham Lincoln goes to mourn the recent death of his young son, Willie. Saunders does a fine job—and has a fine time—quickening his little necropolis to literary life ... Although readers may feel that Lincoln in the Bardo has little in common with the author’s dystopian short stories, there’s actually quite a lot of similarity in preoccupation and technique. Saunders often pays imaginative attention to corporations, bureaucracies, and nomenclature, and he has a predilection for creepy theme parks...In Saunders’s hands, Oak Hill, too, is a kind of theme park, with various rules and precincts and spectacles, as well as opportunities for the author’s parodic gifts ... Even with this granular structure and its comic interludes, the book gathers a satisfying momentum, enough to reveal what Saunders has called, in one of his essays, a novel’s Apparent Narrative Rationale—what the writer and the reader have tacitly agreed the book is ‘about' ... he also elects to venture into Lincoln’s awareness and perceptions, and, when he does, it’s an all-in enterprise, a physical incursion undertaken not only to extract characterizing thoughts but also to influence them...Saunders is giving us an imaginative truth in keeping with a number of startling and benevolent short stories he has written, ones that end with characters reaching a low point and then pulling themselves back up. Lincoln in the Bardo is part-historical novel, part-carnivalesque phantasmagoria. It may well be the most strange and brilliant book you’ll read this year ... Saunders presents Willie’s death as a turning point for Lincoln — will he be able to move on from his grief, to draw on it as a source of strength in the battle ahead, or will it crush him, the acuity of his own loss meaning that he sees Willie in every dead soldier? ... At a time when his office is held by a monstrous buffoon, there’s enormous power in this image of the noble, broken, moral president, who wrests such a brave message from his son’s life and death: 'Love, love, I know what you are' ... 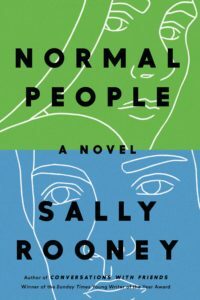 This is a novel that’s so intimate and human, so profound, that it seems like an act of grace. ...a luminous feat of generosity and humanism ... The souls crowd around this uncanny child. As the cast grows, so does our perspective; the novel’s concerns expand, and we see this human business as an angel does, looking down. In the midst of the Civil War, saying farewell to one son foreshadows all those impending farewells to sons, the hundreds of thousands of those who will fall in the battlefields. The stakes grow, from our heavenly vantage, for we are talking about not just the ghostly residents of a few acres, but the citizens of a nation — in the graveyard’s slaves and slavers, drunkards and priests, soldiers of doomed regiments, suicides and virgins, are assembled a country. The wretched and the brave, and such is Saunders’s magnificent portraiture that readers will recognize in this wretchedness and bravery aspects of their own characters as well. He has gathered 'sweet fools' here, and we are counted among their number ... The narrator is a curator, arranging disparate sources to assemble a linear story. It may take a few pages to get your footing, depending. The more limber won’t be bothered. We’ve had plenty of otherworldly choruses before, from Grover’s Corners to Spoon River, and with so many walking dead in the pop culture nowadays, why not a corresponding increase in the talking dead? Are the nonfiction excerpts — from presidential historians, Lincoln biographers, Civil War chroniclers — real or fake? Who cares? Keep going, read the novel, Google later ... the war here is a crucible for a heroic American identity: fearful but unflagging; hopeful even in tragedy; staggering, however tentatively, toward a better world ... events sometimes conspire to make a work of art, like a novel set in the past, supremely timely. In describing Lincoln’s call to action, Saunders provides an appeal for his limbo denizens — for citizens everywhere — to step up and join the cause. What did you think of Lincoln in the Bardo?